This boat has been is a superyacht tender, and as such, has been maintained to the highest order. 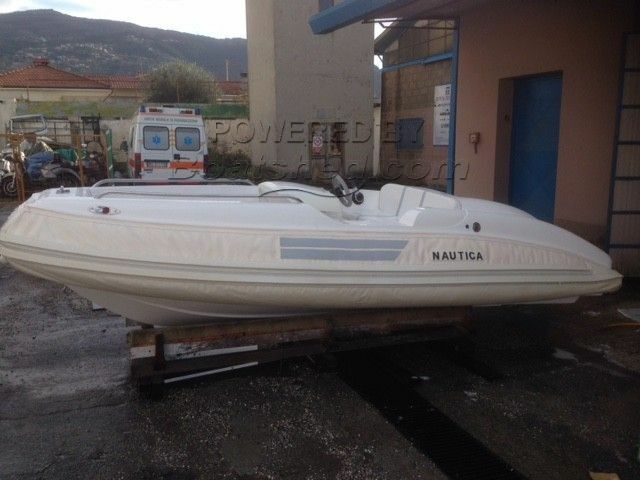 This is an opportunity to buy a barely used example of this popular brand of jet RIB. Bought new in 2007, the boat had only half a seasons use, before being replaced with a larger model, and mothballed. And she has always been stored inside, in a winterized condition. She will make a great fun boat for the summer, and when not in use, can be stored, easily and cheaply. This Nautica 16 Deluxe has been personally photographed and viewed by Rory Gillard of Boatshed Palma. Click here for contact details.